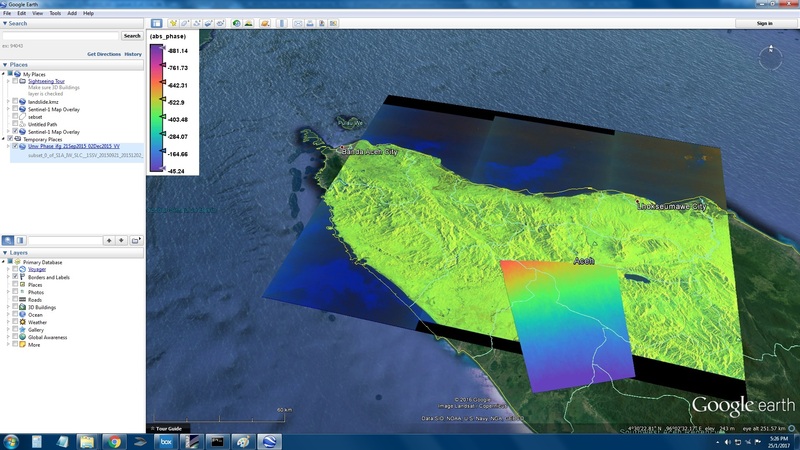 I am working on DEM generation with sentinel-1 data. 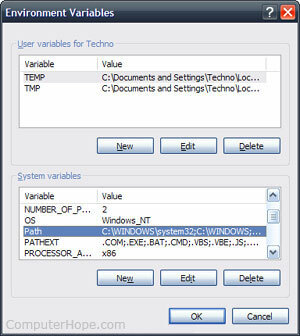 However I want to know that how can I use snaphu in windows environment? because when I run snaphu in snap, it makes error. Could you help me please? Is there a need to edit snaphu.conf file? I made a tutorial for my students for compiling SNAPHU in Windows a time ago. It was originally written in German so the screenshots may not always totally match but the description should be sufficient. Hi there, have been following your tutorial to compile SNAPHU - thanks for making it available. I was wondering if you could help me with one of the steps (2e). When I type make install it says “make: command not found”. I have done some Googling but can’t seem to find a solution. I installed Cygwin as advised in the tutorial. make sure that C:\cygwin64\bin (or wherever you installed cygwin) is in your PATH variable. make.exe should be available in this folder. If not, run the cygwin installation again and install the make environment (step 1h in the pdf). Okay will do the above, thanks a lot for your help! Thank you for the tutorial snaphu in cygwin, it is very helpful for me. But I have problem when unwrapping tile is not complete (until column 3). Please refer to attach file. 31000 lines is quite much. Did snaphu run until the end? 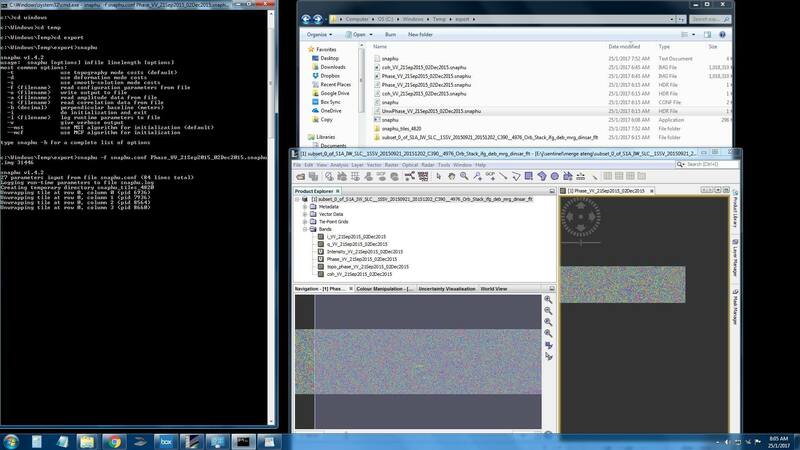 According to your screenshot the unwrapped img file (corresponding to hdr) was not yet created. Maybe you can also adjust the number of tiles in the snaphu config file. should I make it small area of interest? how much is proportional lines in range could be use (in your tutorial 1600 lines). try to export a small subset (2500 lines) and see if it works correctly. If yes, increase the subset to the extent that is interesting to you. It works, It takes times 6 hours for 31000 lines. I did for 23726 and take time 5 hours. and here is the result in .kmz file after TC. It is not create fringes at all. strong ramp in this one. If you look closer, is there any topographic information on this one? Did you apply topographic phase removal? What is your goal? I did topographic phase removal. My goal is to calculate fringes based on interferogram achieved. I want to see landslide movement in that part (Central of Aceh District). Based on ground data. there are a lot of landslide in October 2015.
did you have good coherence between the images? 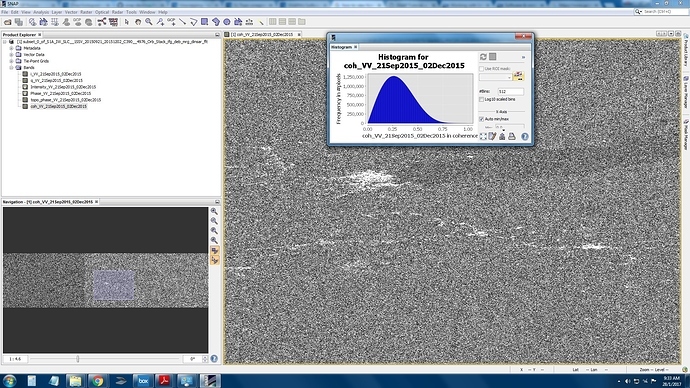 Maybe you can post a screenshot of the coherence raster and its histogram. Which snaphu method did you allpy? TOPO, DEFO or SMOOTH? You could also consider making additional interferograms based on other image pairs, before and afterh October, just to get an impression on the general information which can be retrieved from the data. Avalanches surely destroy coherence completely. Please keep in mind that subsidence measurements from one or a couple if interferograms cannot be trusted due to the presence of atmospheric artefacts. I attached of histogram in Takengon city (Near Lut Tawar Lake). I sellect 21 Sept 2015 as a master image, and 2 Dec 2015 as a slave image. I have not repeat interferogram to other slave image yet. I studied that large land movement for 2 m above can destroy fringes. but I am still lack study about atmospheric artefacts can be destroy fringes too. theoretically, only the white areas in your coherence image reveal usable information. Then there are still atmospheric disturbances left which could affect your fringes. Try to apply a coherence mask on your interferogram as described below to see if the areas of interest are within that areas. right-click on the unwrapped phase, in the menu you find properties. There is an entry "valid pixel expression", where you enter something like coh_HH_11Feb2008_04Mar2008 > 0.6. Of course, the coherence name should be yours and the threshold can also be lower. Some say acceptable quality begins with 0.3 already. If the areas of interest are excluded by this mask, you need better coherence. You can achieve that by using an image pair with smaller temporal baseline (6/12 days are currently the smallest for Sentinel-1). You can also try to apply a better co-registration in order to improve the image alignment. So how to do better coregistration. You can increase the number of GCPs for the coregistration. This could lead to better results at some locations. Also try to use a second order polyonomial and trucated sinc interpolation. These things won’t increase the overall quality of the data but baybe lead to smaller improvements. 24 days is simply too long to allow for higher coherence. 12-day data should be available over your area by now.